Godolphin star Avilius will be out to redeem himself in the Group One Ranvet Stakes at Rosehill. Beaten as a short-priced favourite in the Australian Cup, import Avilius gets another chance to land his first Group One win in the Ranvet Stakes at Rosehill. The James Cummings-trained Avilius was the $3.30 favourite for the weight-for-age Ranvet (2000m) on Wednesday after a field of 15 was declared, with dual Group One-winning New Zealand mare Danzdanzdance and former European horse He’s Eminent next at $7.50. Avilius returned this campaign with convincing wins in the Group Three Carlyon Cup (1600m) and Group Two Peter Young Stakes (1800m) at Caulfield before being sent out the $1.65 favourite in the Australian Cup (2000m) last Saturday week at Flemington. After settling midfield on the fence Avilius tracked up well early in the straight and presented to win at the 200m but couldn’t go on with the job and finished fifth, beaten just over a length. “He has work to do to build on his unplaced effort in the Australian Cup,” Cummings said. “I’m convinced he’s gone ahead after having done a little too well between his last two runs. “He’s capable of more on this testing ground against similar opposition. The Chris Waller-trained mare Egg Tart was a dual acceptor in Group One races on Saturday’s program but is set to run in the Ranvet. 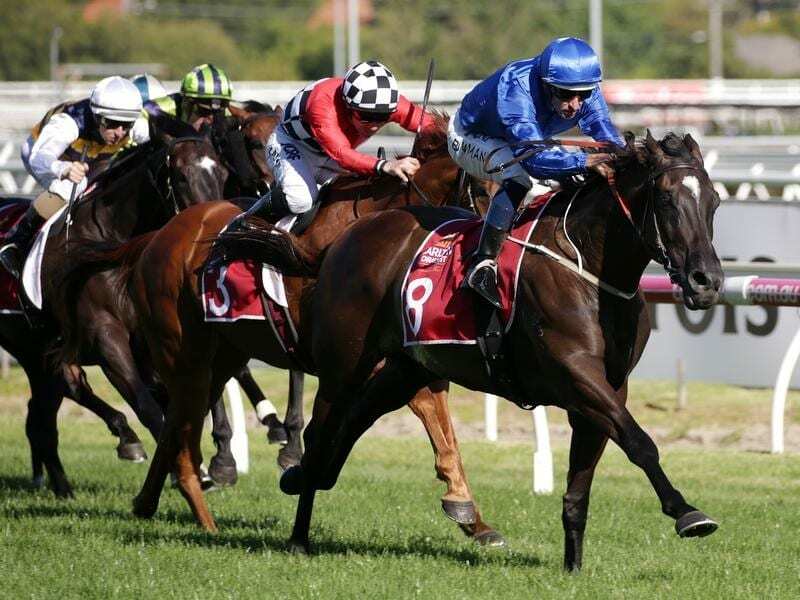 The mare was also paid-up for the George Ryder Stakes (1500m) against champion stablemate Winx but was scratched from that event on Wednesday. Egg Tart is one of five Ranvet entries for Waller along with Unforgotten, Shillelagh, Savvy Coup and Libran.